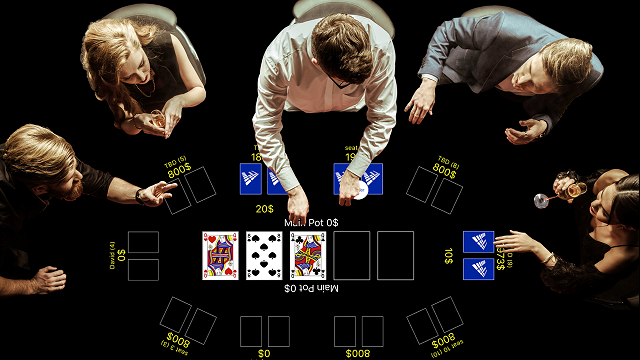 Our digital poker table deals and manages poker games, including Texas HoldEm and Omaha. The digital poker table currently supports either a cash game or a sit&go mode with the ability to set a betting structure with limit, pot limit and no limit options. All management of the various game parameters is done through a game controller with a web-based browser. Our table measures 85" L x 40"W by 32" H, and it is 29" to the underside of the table. -charging system for the equipment. 110V Power supply and a WIFI connection. 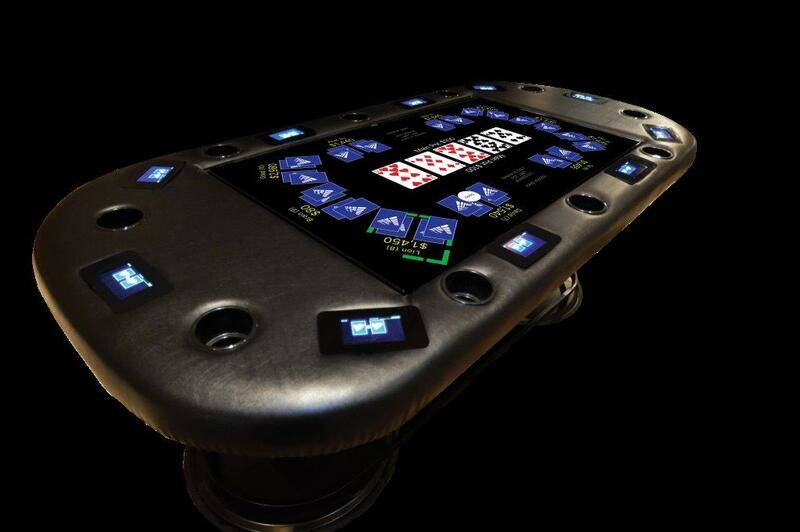 Model S is our stand alone digital poker table. Model 4 NEW NEW NEW 4 seat poker table, 30X30" is our new mini digital poker table. Model 4B NEW NEW NEW 4 seat poker table combined with a 2 player backgammon option, 30X30" mini digital poker table. Model E is the digital poker gaming system without the table. It includes the software for the gaming system, 10 player screens, a game controller with web-based browser, and the charging system. It does NOT include the table, table legs or the center game screen. Excellent for overseas clients.